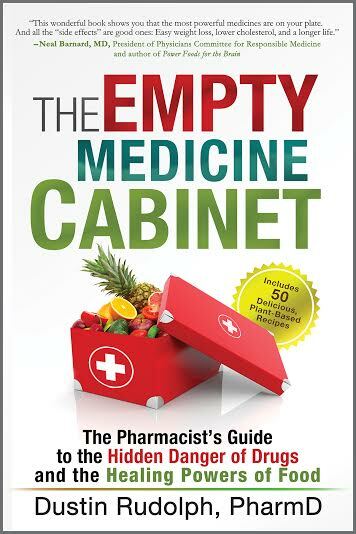 Pharmacist Dustin Rudolph’s The Empty Medicine Cabinet is a straightforward, fact-based book which explains the positive benefits a plant-based diet can have on our health. Dustin discusses the medical studies which show that a plant-based diet can prevent and reverse illness more effectively than pills. 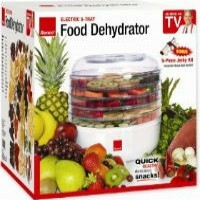 Cases include heart disease, type 2 diabetes, autoimmune diseases, obesity, and even cancer. Citing doctors McDougall, Barnard, Fuhrman, and Esselstyn, Dustin presents evidence that a plant-based diet is a healthy diet. The Empty Medicine Cabinet walks readers through case studies of real patients who have healed their bodies from illness through a completely plant-based diet. The evidence is stunning. In addition to the powerful medical evidence showing the healing effects from eliminating animal products, Dustin helps demystify the gluten-free craze. What does it really mean to follow a gluten-free diet and who should consider it? There is an excellent explanation of gluten, wheat allergies, and the autoimmune dysfunction known as celiac disease. Best of all, readers will learn how to put their new knowledge into practice with helpful, plant-based recipes and a list of useful resources. This book is an easy read, designed to help Americans get healthy with a plant-based diet and finally empty the medicine cabinet. Available starting in late September 2014! Follow Dustin’s blog plantbasedpharmacist.com and learn more about the book at pursueahealthyyou.com.